Michael D. Robinson, Microsoft Corp. and Chair, NYUL Board of Directors; Breakfast Co-chair Valerie DiFebo, CEO, Deutsch Inc; Deanie Elsner, President, Kraft Foods North America Beverages; John Quigley, Regional Vice President, Operations, New York City, Time Warner Cable, Inc.; Linda H. Dunham, Chair, Ronald McDonald House Charities and McDonald’s Franchisee; Susan Whiting, Vice Chair and Chief Diversity Officer, Nielsen; Arva R. Rice, President and CEO, New York Urban League; Nina Mitchell Wells, Honorary Chair, Champions of Diversity; Breakfast Co-chair Tig Gilliam, CEO, Adecco Group North America. 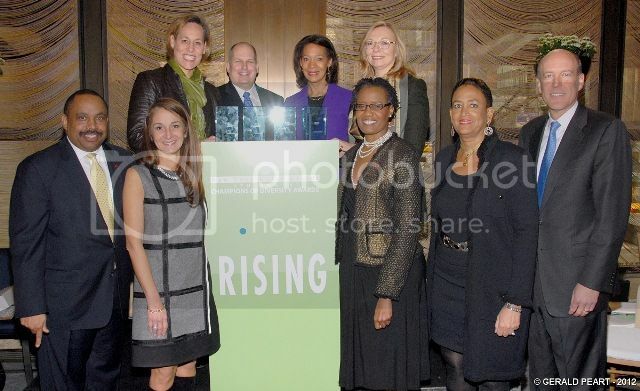 New York, NY – On February 8, 2012, the New York Urban League (NYUL) lauded Kraft Foods Inc., McDonald’s Corporation, Nielsen and Time Warner Cable, Inc. as Champions of Diversity for their commitment to diversity best practices. 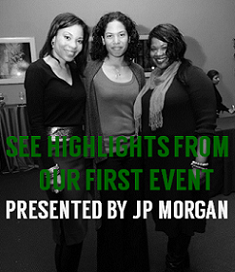 More than 250 people attended the event at the Four Seasons restaurant. In today’s global marketplace companies recognize diversity as a key competitive advantage. The four corporations honored by NYUL were selected by a judging committee of corporate executives based on their commitments to diversity in four deciding categories - corporate citizenry, employment policy, supplier relations and philanthropic practices. The accomplishments of this year’s honorees highlight the execution of effective practices with far reaching impact. Currently, 43 percent of Kraft Foods Inc. salaried employees are women, and they make up more than 35 percent of the management team. DiversityInc magazine ranked Time Warner Cable, Inc. among the nation’s top 50 companies for diversity practices for three years in a row. McDonald’s Corporation recently received an award from Catalyst for its efforts to promote women’s interests in business. Nielsen has Employee Resource Groups focused on communication between their employees and upper management. These groups serve a wide range of employee populations, including veterans, lesbian, gay, bisexual, and transgender employees and employees with disabilities to name a few. “What we are witnessing is a true paradigm shift as it applies to corporate diversity. Those innovating or executing best practices are incorporating true diversity at every level of their organization. Each of these four companies has embraced bringing together disparate perspectives for one stronger organizational voice,” said Arva R. Rice, President and CEO of the NYUL. Frank Ahimaz, Chief Investment Officer of the Museum of Modern Art (MoMA), delivered the keynote address and Darlene Rodriguez, anchor of WNBC’s “Today in New York,” served as Mistress of Ceremonies. 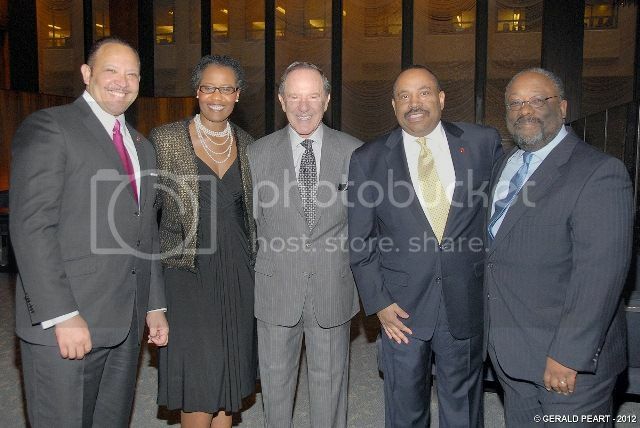 Distinguished guests included Chancellor Dennis Walcott; William Lewis, Lazard; Raymond McGuire, Citibank; Mort Zuckerman, Boston Properties, Nina Mitchell Wells, former Secretary of State of New Jersey, and Kathryn Wylde, Partnership for New York City. This year’s event Co-Chairs were Valerie DiFebo, CEO of Deutsch Inc., and Tig Gilliam, CEO of Adecco Group North America. NYUL Board Member Dwight Johnson served as Chair of the Champions of Diversity Steering Committee. This year’s event sponsors include Nielsen and Time Warner Cable, Inc. as Champion of Diversity Lead Chairs, Kraft Foods Inc. as Equality for all People Chair, McDonald’s Corporation and Adecco Group North America as Salute to the Honorees Sponsors, Deutsch Inc. as Legacy Sponsor, and Entergy Nuclear as Founding Chair and Champion Sponsor. Media sponsors of the 9th Annual Champions of Diversity Awards Breakfast include Black Enterprise, DiversityPlus, New York Amsterdam News, The New York Carib News, and The Network Journal. 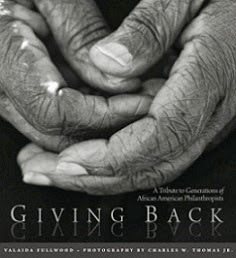 The NYUL Champions of Diversity Award was established in 2004 to recognize corporate America’s positive response to The U.S. Supreme Court’s decision to uphold the basic principles of affirmative action. Previous award recipients include: Adecco Group North America, Interpublic Group, Johnson & Johnson, Macy’s, Inc., Aetna, American Airlines, Major League Baseball, Morgan Stanley, GE, Goldman, Sachs & Co., The New York Times Company, Bank of America, Darden Restaurants, Inc., FedEx Express, Toyota Motor North America, Inc., Pfizer Inc., Prudential Financial, Weil, Gotshal & Manges LLP, Allstate Insurance Company, Nickelodeon Networks, Betty Cortina, Latina Magazine, American Express, Con Edison, Enterprise Rent-A-Car, L’Oréal USA, PepsiCo, TIAA-CREF, Winston & Strawn, LLP, Entergy Nuclear, Essence Communications, The Estée Lauder Companies Inc., IBM, Turner Construction, and Verizon. For more information about the NYUL and its programs, please visit www.nyul.org/diversity.